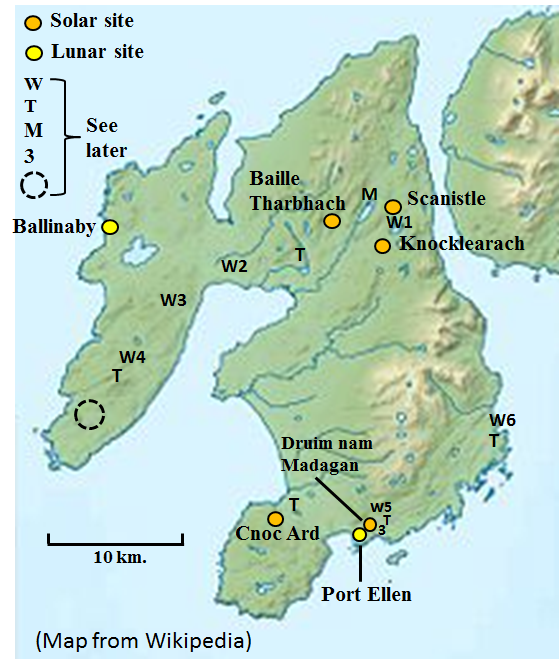 There are 22 Standing Stone site on Islay fitting the criteria - single stone, stone pair and short row. Ruggles (1984) lists 5 others which have no indicated direction and may not be genuine. e.g. large blocks/boulders. The breakdown of the 22 sites is:- 2 Lunar, 5 Calendrical (solar), 7 fallen or trees, 6 'waymarkers', 2, 'others', 1 remote and not visited.